Adult moth of the lesser appleworm captured in a codling moth pheromone trap. Pest description and crop damage This is a tortricid pest similar in habits to oriental fruit moth. The larvae feed inside the fruit, often entering through the calyx end. Lesser appleworm is not currently a problem in commercial orchards, despite being distributed throughout the fruit producing regions of the PNW. It is a moth native to the northeastern US that was first discovered in the Pacific Northwest in the 1940s. Biology and life history The lesser appleworm prefers host plants in the rose family, including crabapples, hawthorn, wild rose and others. It overwinters as a mature larva at the base of host plants or under bark scales. The adults begin to emerge in April, and females lay eggs on leaves or the fruit surface. The larvae feed on the fruit for about three weeks, then pupate at the base of the tree or under bark scales. Second-generation adults appear in late spring. These also lay eggs on the fruit. Late in the season, mature larvae spin cocoons to overwinter. 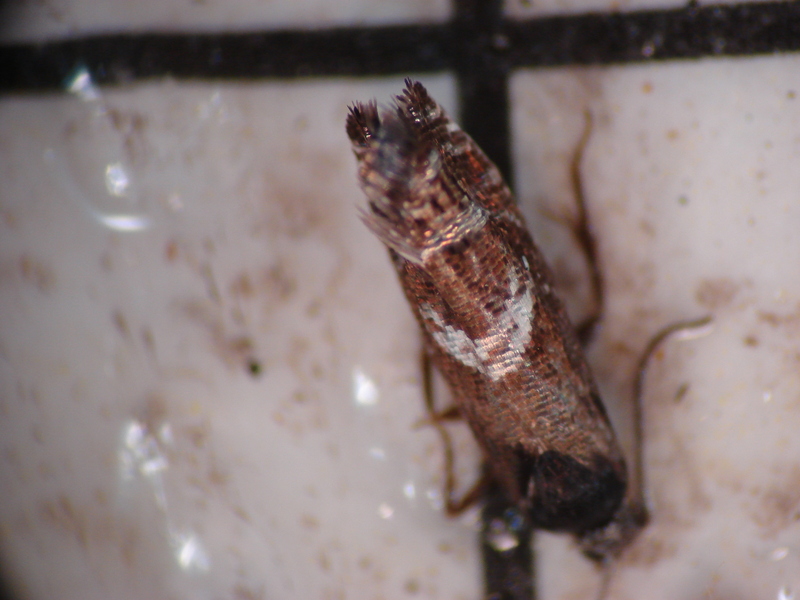 Insecticides used for codling moth are probably effective. Lesser appleworm is not a problem in orchards receiving a regular spray program.